Central Selection Board Of Constable (CSBC)s Physical Evaluation Test (PET) based on the results of the written test declared yesterday will be will be held from February 19, 2018 at Shahid Rajendra Prasad Singh Government High School (Patna High School), Gardanibagh, Patna, 800002. New Delhi: Central Selection Board Of Constable (CSBC)’s Physical Evaluation Test (PET) based on the results of the written test declared yesterday will be will be held from February 19, 2018 at Shahid Rajendra Prasad Singh Government High School (Patna High School), Gardanibagh, Patna, 800002. The admit cards for CSBC PET will be released from February 9, 2018 on the official website of CSBC, csbc.bih.nic.in. According to the Selection Board, if any of the candidates are unable to download their admit cards from the official website, they may visit the office of CSBC on February 16 and February 17 to get the duplicate admit cards for PET. This recruitment process is being done to fill 9900 vacancies announced by CSBC in July 29, 2017. The written exam was held on October 15 and October 22 last year. The board also said, the PET admit cards would not be send to any candidates via post. The dates and locations for the PET candidates will be provided on the admit cards and also on the website of CSBC. The CSBC also said if any candidate fails to appear for the PET on time, he or she will be considered disqualified. In CSBC PET, the candidates will have to attend three physical activities – namely Running, Shot Put and Long Jump. Final merit list will be prepared based on the performance of the candidates in all these events. 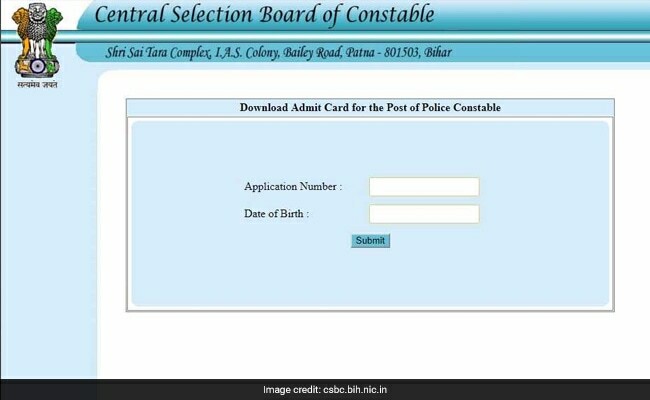 CSBC Bihar police constable result 2017 was declared yesterday on its official website. CSBC, Bihar, the exam conducting body has declared the result at www.csbc.bih.nic.in. Candidates who are waiting for the results may check the results online at the official website now. 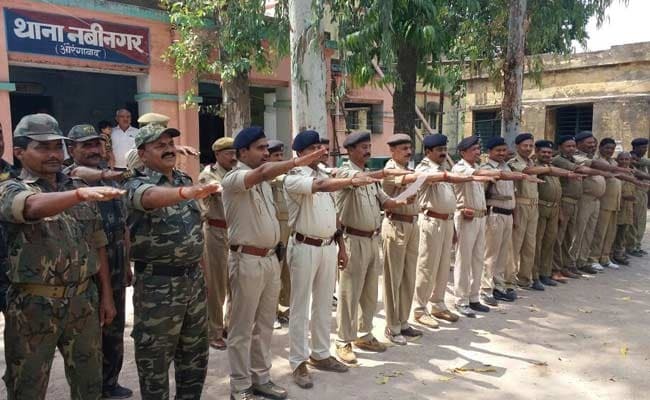 As per sources, around 11 lakh candidates had registered for the Bihar Police constable recruitment exam.